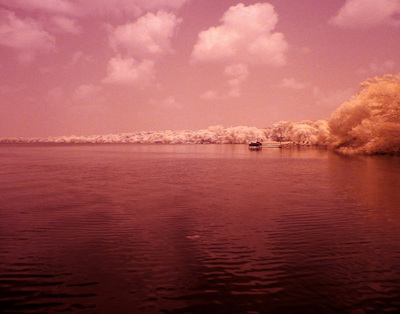 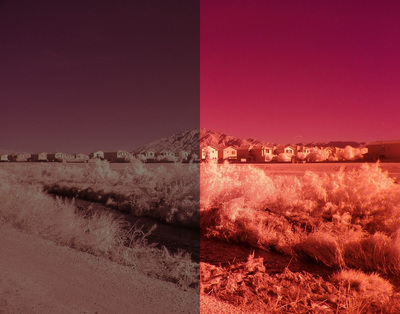 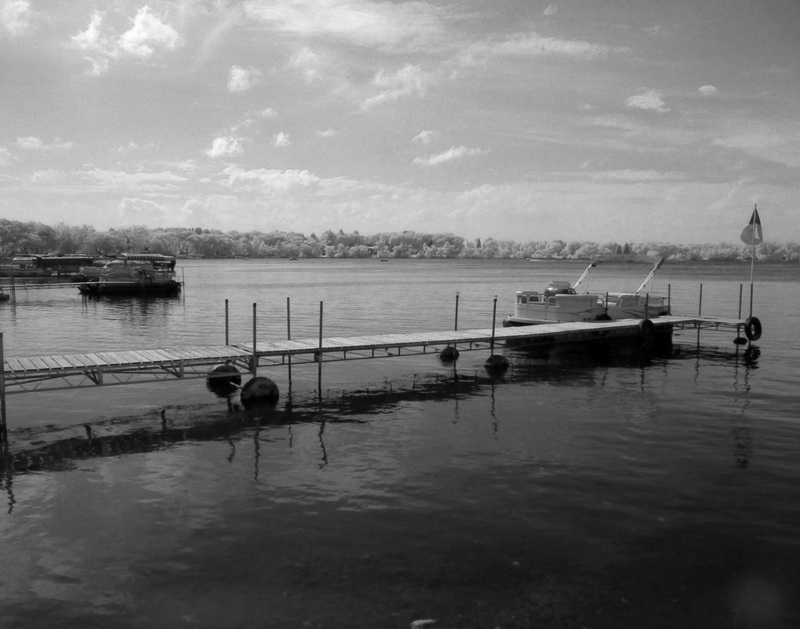 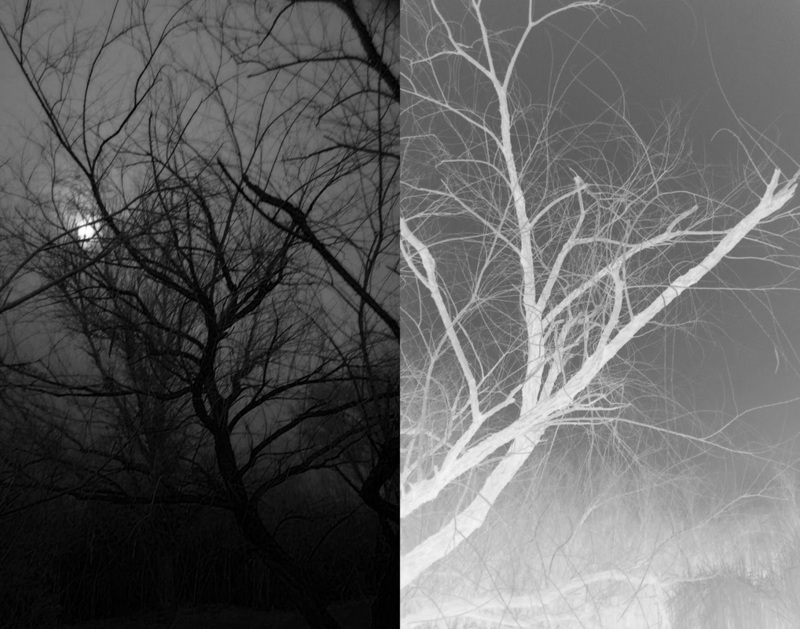 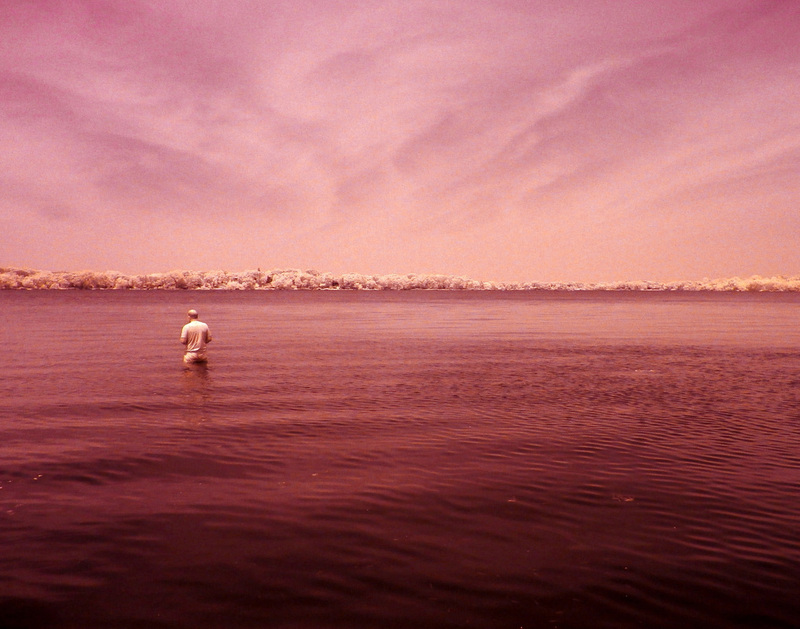 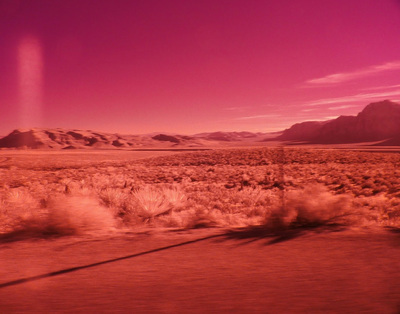 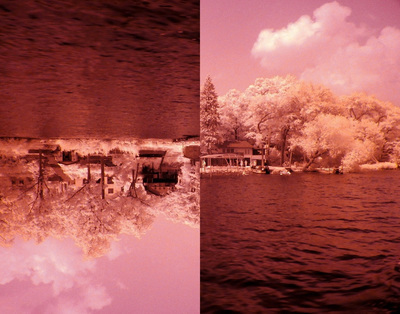 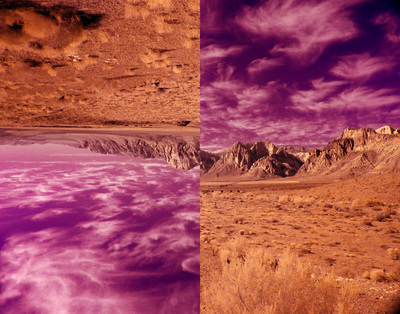 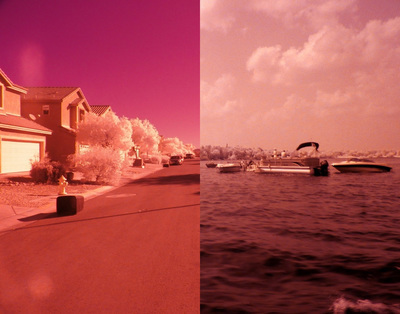 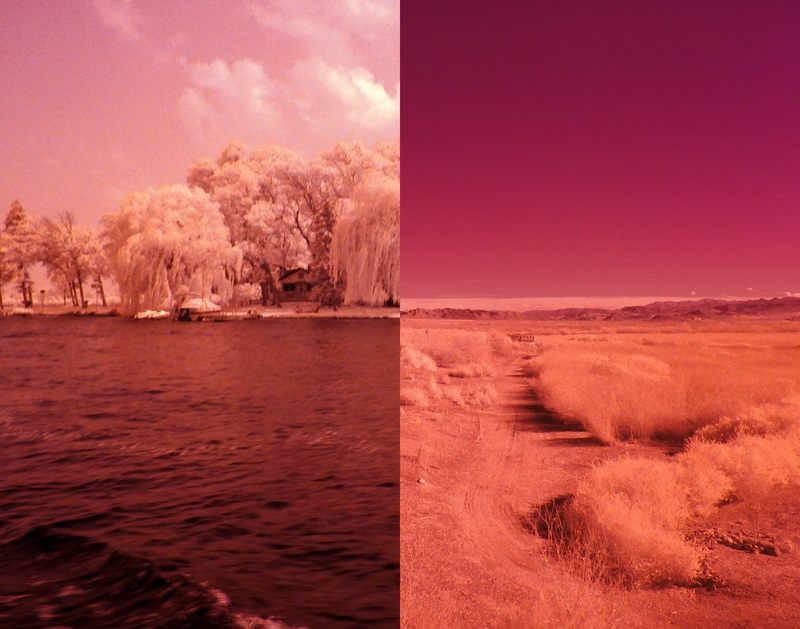 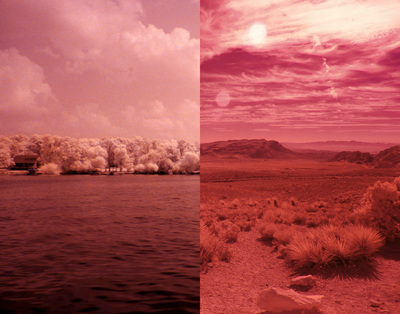 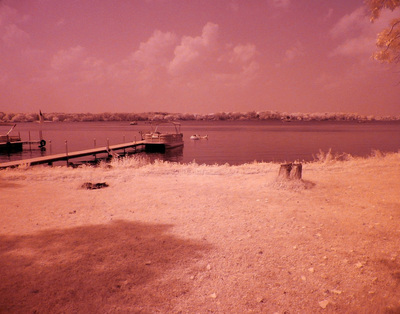 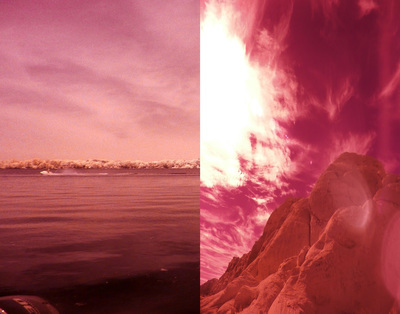 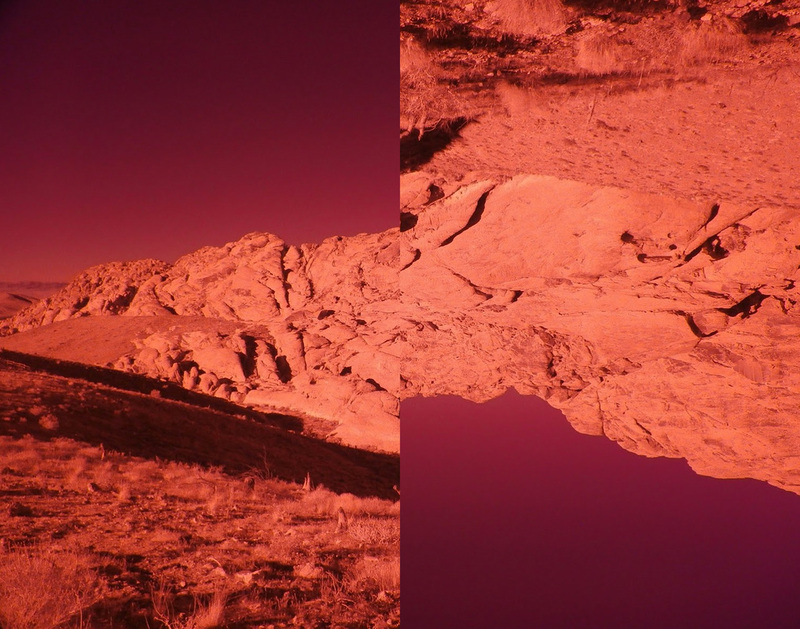 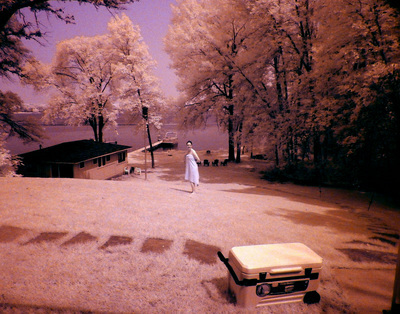 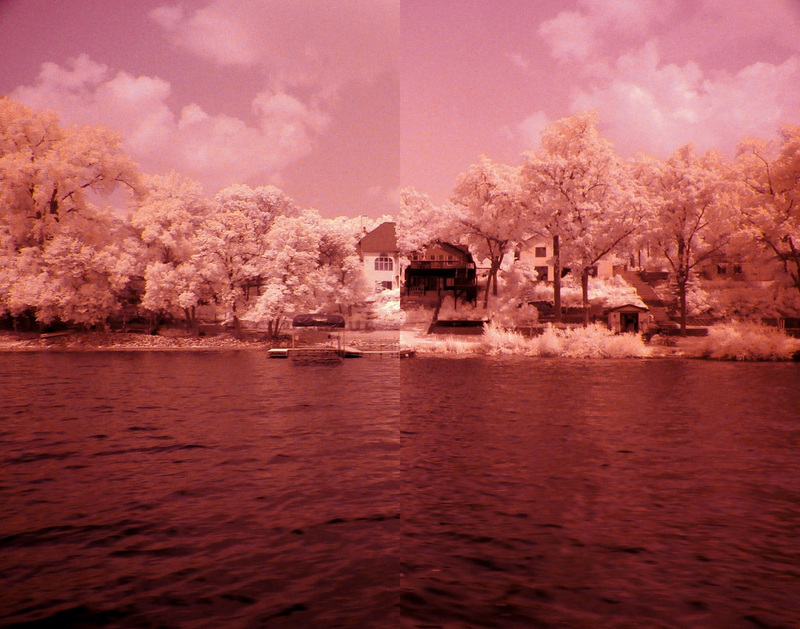 Early in 2015 I purchased a modified digital camera from which the visible spectrum filter had been removed, giving the camera the ability to capture both ultraviolet and infrared light. Most digital cameras have this filter to better process the light humans can see, thus ignoring the light outside of our visible spectrum. 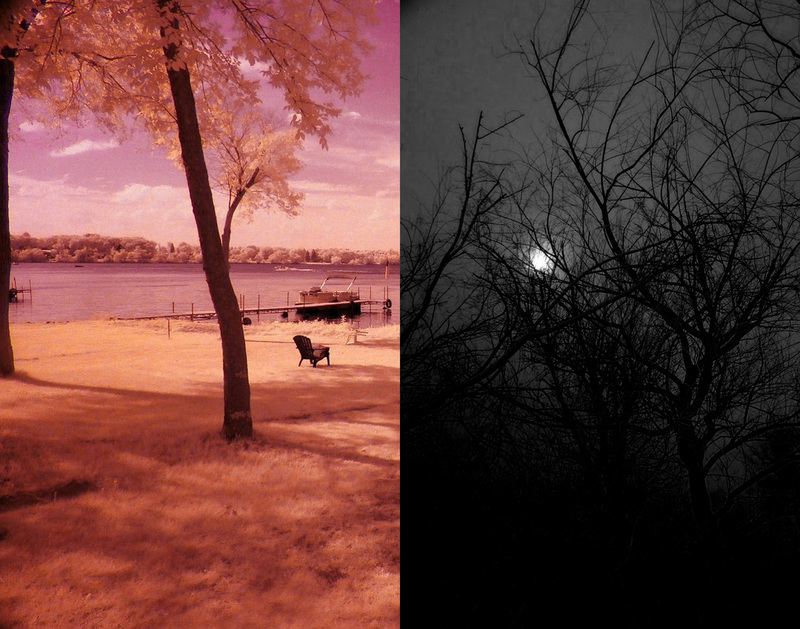 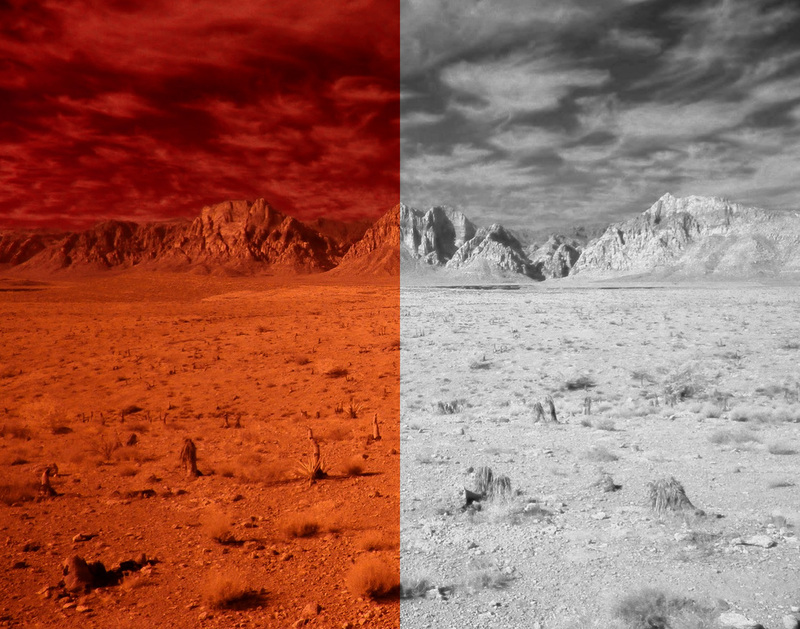 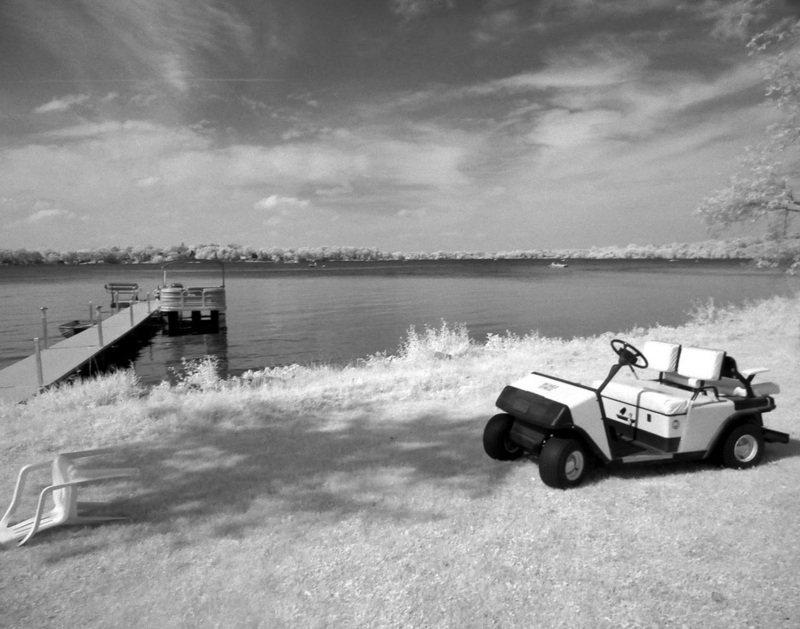 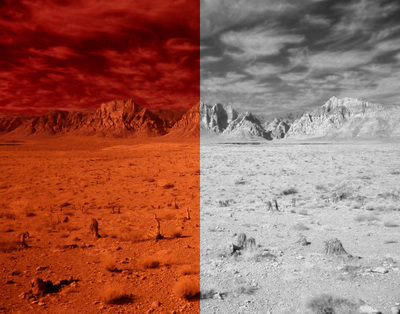 I altered this camera further by using various lens filters that exclude certain wavelengths of color. With my modified camera I captured a variety of images during a family trip to my in-law’s lake home in Big Lake, Minnesota, on hikes throughout Red Rock National Conservation Area in Nevada, and around my home in Las Vegas, Nevada. 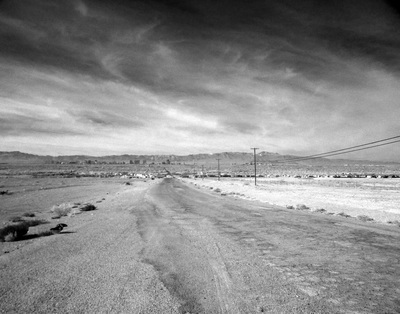 I chose these locations due to the varieties of light and color each landscape provided. Images from these locations were then juxtaposed and transferred to wood panels using a gel transfer process. The photo transfer process creates an end product that looks vintage and aged, which contrasts the relatively high level of technology that went into the creation of the image in the first place.